Data corruption, hardware failure and malicious attacks are just a few of the threats that can harm your personal or business files, and if you failed to properly back up your data, you will be out of luck. Taking the right steps when backing up your data will give you peace of mind because you will know that your files are not in danger. No matter if you are trying to safeguard family pictures or business contacts, the following information will help you reach your goals. When protecting your data is your No. 1 goal, you might feel as though creating a local backup is enough, but it’s not. If all of your files are stored on the same server, then you will still lose everything if that server gets destroyed. The good news is that you can combat this problem by utilizing a Cloud Backup solution. This option involves uploading the data that you want to protect to ‘The Cloud’ – a cluster of servers located in a remote, secure data center. If something happens to your main or local storage server, cloud backups enable you to still have access to the files that you need. Best of all, your data will be available anytime, anywhere, and from nearly any device. After learning about the importance of keeping backups, many businesses either dedicate a server to secure their files or rent one. At first, they put in the effort to create backups on a regular basis, but they don’t remain dedicated to the process. As time goes on, they often stop using their backup servers. To avoid that situation, you can determine how often you need to create backups and set a schedule. When you do so, staying on track will be that much easier. Some people backup their files one time each week, but others do so every night. The number of backups that you want to create will depend on several factors, but the important part is to remain consistent. Once you have a backup system in place, you want to decide on the amount of time that you will store your data. Many businesses will delete some backups every few months or years, but you might need to keep some records for as long as you can. For example, tax records should be saved for seven years if you don’t want to encounter problems. Although deciding which files to keep is not always an easy task, prioritizing your data can help. The length of time that you will keep each backup will also depend on the amount of storage space that is available to you. So if your current solutions are not meeting your needs, then it could be time to consider upgrading. Backing up your data is a smart move, but you also need to protect your files from unauthorized individuals. Criminals try to target servers that have the least amount of protection because they want to access data easily. If you don’t secure your files, then you could become a victim. If you own or manage a business, then you are also putting your customers’ data at risk, which is not acceptable. When you encrypt your data, you scramble the code in a way that makes it all but impossible to read. Even if someone can obtain your files, they will not be able to do anything with them. Only those authorized with the decryption key will be able to actually view your data. Don’t make the mistake of ignoring the threats that can destroy your data. If a business loses its clients’ contact information, then that business could fail. Even if a company can recover from data loss, the fallout could have a lasting impact on its reputation. If customers don’t think that a business takes steps to keep their digital information safe, then they will find a company that does. Looking for the easiest way to protect your data while utilizing all of the best practices mentioned above? Look no further than TurnKey Internet’s next-generation Cloud Backup solution – TurnKey Vault. What makes TurnKey Vault the absolute best Cloud Backup solution on the market is our system was built from the ground up with business users in mind. From encryption so strong that even we can’t see your data, to the most advanced features on the market – like Live Cloud Replication, bare metal recovery and the ability to restore a server, PC or even an entire office of computers, live, in real-time, into a fully functional, cloud-based virtual environment accessible from anywhere over the Internet. Determining what needs to be backed up should be addressed before you look at how you back it up. Do you want to back up everything that is located on computers at the office? What about data located on laptops or cellphones that are taken to and from home? Is your email or website backed up? Do you want them to be? Do you possess physical forms and documents that you want scanned into electronic form and then backed up in that form so that you are set if something such as a fire or flood destroys the hard copies? You can back up everything, otherwise known as a full backup. This obviously requires the most storage space as well as the most time. However, it helps ensure that you will be completely back up and running in a timely manner if some disaster causes your primary data source to no longer be accessible. However, this is not always necessary. In that case, consider an incremental or partial backup. An incremental backup involves the backing up of only files that had been created or changed since the last time your data had been backed up. This tends to be much quicker, but you do need to then ensure that you have access to several incremental backups in order to fully restore your data. It can also be difficult to organize your files or to find a specific one if you are downloading several incremental backups after disaster struck. A partial backup means that you are only backing up part of your data, presumably the most valuable portion. 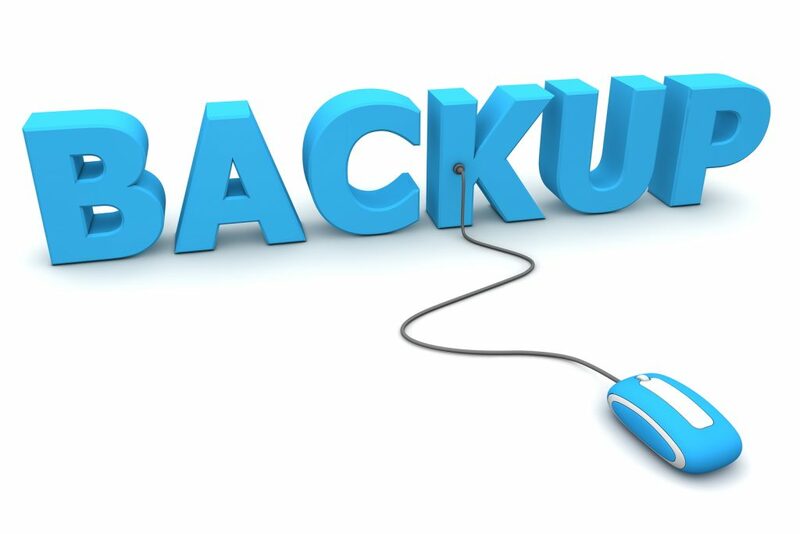 However, the difference between a partial backup and a complete backup is usually minimal, meaning that, with a few exceptions, you might as well just back up everything. Focus initially on the most important data, whatever would cause the most damage were the information to become inaccessible. These files should also be backed up more often. Of course, it does take time and money to back up your information, but it is well worth it when you consider the repercussions of losing access to it for a considerable time period or forever. Local or onsite backups involve copying and storing your data on a server or drive that is located on the same premises as your primary data source. The most significant benefit of this plan is that you can always have your secondary data right there. If something happens to your primary computer system, it’s normally easy to start utilizing the backup sources, and you don’t need to have an internet connection to do so. The cost of utilizing this type of data backup is usually relatively low, and the process of backing up your data with this method is normally pretty simple. However, several significant disadvantages exist as well. A natural disaster such as a flood or hurricane that destroys your office or original data source will often take out your backup data too if it’s being kept onsite. And if somebody breaks in and steals your primary data, doing the same to your secondary data too can be done on the same trip. Those taking advantage of cloud backup options will have their data sent to a remote data center on a regular basis. Probably the most significant benefit of going this route is that multiple copies of your data will can be made to stored on multiple servers located in a variety of places. That way if something disastrous happened to one place or server where your backup data was stored, you could simply access an alternate. Your data is safe at these locations as it is encrypted before being stored, and you have instantly scalable storage capacity. Another benefit is being able to automate the process so that you are not dependent on somebody remembering to back up the data. An indirect benefit of utilizing a cloud backup method is that those who are authorized to do so can easily access the data, whether they are located across town or even on the other side of the world. This is a great benefit for organizations with multiple locations or remote staff. It’s also generally more cost effective than backing up your data onsite, due to not needing to purchase your own backup equipment. However, make sure that you research and trust the data center provider you are using to back up your data remotely. Cloud Replication allows for the restoration of data to a virtualized server. Utilizing an off-site data center’s cloud infrastructure, data can be made available instantly, then accessed remotely from anywhere in the world over multiple, redundant, high speed networks. This removes the bottleneck of local internet service providers bandwidth availability, and saves potentially hours of business critical time by bypassing the need to wait for your onsite systems to restore and be back in working order. Should a disaster occur in which your infrastructure is no longer available or accessible to be restored, the need to purchase new hardware can be completely eliminated. Utilizing a Cloud Replication solution can have your business back online in minutes, not days. Employees can continue their work from home, remotely accessing images of their old workstations running live in the cloud, ensuring your business does not skip a beat. When protecting data on your server is your No. 1 goal, utilizing a backup solution is a must. However, if all of your files and backups are stored on the same server, you risk losing everything if that server gets destroyed or compromised. The good news is that you can combat this problem by utilizing the Cloud. There are multiple methods that exist for creating server backups in the cloud, but today we are going to focus on three of the most popular ways. In disaster recovery, a bare metal restore is the process of reformatting a computer from scratch after a catastrophic failure. This process entails reinstalling the operating system, applications and if possible, restoring data and all settings. Bare metal backups allow you to restore to a brand-new, un-configured server as the backup includes all information to setup the machine and move the data over. This results in a ready to go backup server. At a deeper level, bare metal backups work by taking a “snapshot” of the server. This snapshot includes every file and folder that exists on the server, including all hidden files and directories. This snapshot is then pushed to the cloud, where the entire image can be deployed at a moment’s notice. If you have a Windows server or even a Linux server, bare metal backups will copy the entire operating system structure. Usually, these backup images are the rather large as they are an exact replica of your running server. For example, let’s say that you have a full power outage at your company. Upon the power returning, you realize that your main hosting server has lost all data. It can’t find the boot record to load the operating system and all files have been removed. With a bare metal backup solution, you simply login to your bare metal software, select the server you want to restore, and viola. The operating system is re-installed with all applications. It’s as if the major system failure never occurred! A cloud backup is a piece of software that takes a snapshot of your server and then stores the backup in the cloud. What exactly do I mean by the cloud? 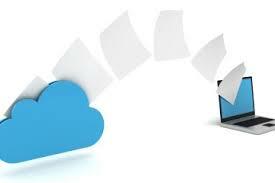 The cloud is a piece of software that is stored off-site that can be accessed from any location. Cloud backups allow for greater flexibitily then a local disk or tape backup. A disk backup or tape backup has the limitation of only being able to access the data locally. This could mean data is being stored on a different server that is stored in your local office. In order to access the backup, you would have to drive into your office, connect the two servers and then migrate the data over. Do you already see the disadvantage to this type of local system? What if you’re traveling and have a disaster and need to restore your data? How will you do it if your business only keeps local backups? This is where a cloud backup comes into play. Since the backup is stored off-site and can be access via an internet connection, you can restore your data from virtually anywhere in the world. This allows for greater flexibility in your backup solution. Also, another disadvantage to local backups is the size or space requirements for the backups. Say you have 1TB of data you need backed up, but you only have 500GB worth of space. What will you do? More than likely, you would just add a new device to your backup software. This may be an additional hard drive, a USB drive or maybe a network attached storage. Well with a cloud backup, you can just increase the resources of the cloud storage to accommodate your increasing space needs. This allows for you to be able to rapidly add more space to your backup server to accommodate your increasing data space requirements. Now, in no way am I advocating that you should remove your local backup options, but instead add another layer of redundancy to your current system such as a cloud backup. 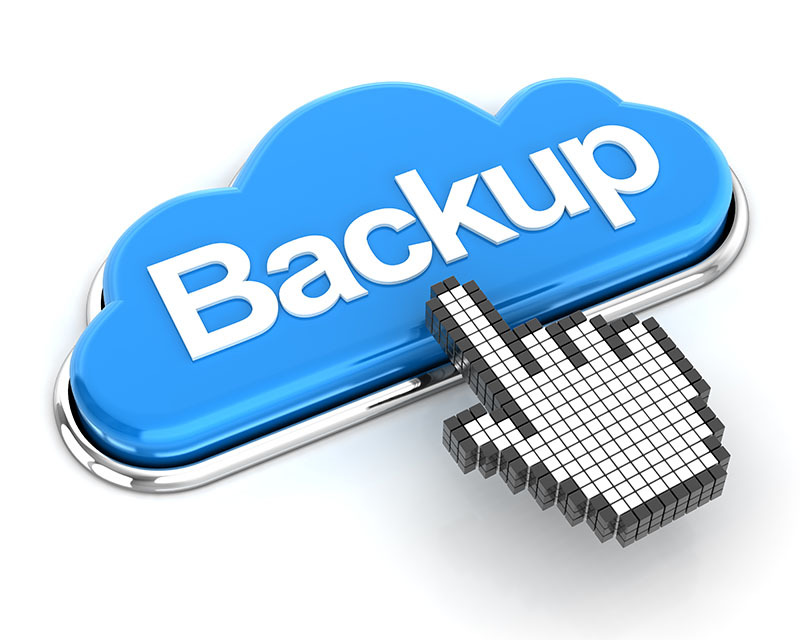 Having local backups and cloud backups are a great way to maintain business continuity. Virtualization allows for one physical server to act as several servers. This dramatically reduces computing costs and boosts efficiency. One of the main challenges with backing up virtualized servers is the need to backup the virtual server’s data as well as the main host node’s data. When I say, host node, I’m referring to the original, physical server that contains all of the virtualized servers. The reason you need to keep backups for both the host and the virtual servers can best be summed up with an example. Your business has decided to virtualize all of the servers in your office. Fast forward a few months and you have a major system failure within the host node. Your main hard drive dies and you lose all virtual servers that were stored on the host node. Luckily, you have a backup of the host node and just restore the backup for the host node. However, upon checking the server, you notice an error. Your main host node system files were restored, but all your virtual servers data is missing. This example illustrates why you need to have a backup of the physical host node and the virtual servers. The physical host node contains the system files that your primary Virtualization software or operating system needs to run. The virtual servers would also need a backup to restore the user data that has been created in each virtualized server. Usually the virtualized servers have a different type of operating system then the host node would contain. You would need server backup software that can handle creating backups of the virtualized servers as well as the main host node itself. You could have local backups of both the host node and the virtualized servers that you can restore. You could go the bare metal route for the host node as well as virtualized servers, or even the cloud backup method. It’s just important that you have backups of both the node and the virtual servers. 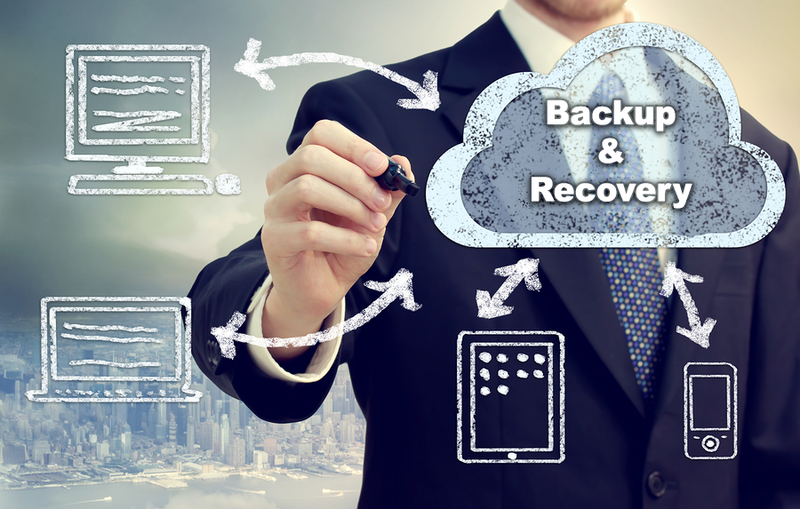 Not sure which of these backup solutions is best for you and your business? Contact the Cloud Solutions Experts at TurnKey Internet! To get started, visit https://www.turnkeyinternet.net/myplan for a FREE consultation. When businesses save files to their hard drive or another storage device, they often feel as though their data will always be available when they need it. That assumption, however, is dangerous and can cause any company to lose their important files. Data corruption, hardware failure and malicious attacks are just a few of the threats that can harm your files, and those who fail to back up their data will be out of luck. Confused and frustrated, these individuals often find out the hard way that they should have taken action. If you don’t want to repeat the same mistake, then it’s time to take a look at the different ways that you can protect your data from being destroyed. Taking the right steps will give you peace of mind because you will know that your files are not in danger. No matter if you are trying to safeguard family pictures or business contacts, the following information will help you reach your goals. When protecting your data is your No. 1 goal, you might feel as though creating a local backup is enough, but it’s not. If all of your files are stored on the same server, then you will still lose everything if that server gets destroyed. The good news is that you can combat this problem by utilizing a Cloud Backup solution. This option involves uploading the data that you want to protect to ‘The Cloud’ – a cluster of servers located in a remote, secure datacenter. As technology continues to improve, you will start to depend on it more and more each day, and the dangers involved with not protecting yourself will only increase. Backing up your data right now could be a choice that saves your business from failure, and you should keep that fact at the front of your mind when you are making your decision. LATHAM, NEW YORK (September 22nd, 2015) – Sustainable IT solutions provider TurnKey Internet, Inc. announced today the launch of their TurnKey Vault Secure Cloud Backup service. The all new product delivers next-generation online backup services focused on business continuity and disaster recovery (BCDR) to individuals, businesses and large scale organizations across the globe. TurnKey Vault offers next-generation backup technology including bare metal recovery, Linux, Windows and Mac operating system support, encrypted data protection, as well as backups for enterprise databases such as Oracle, MSSQL and MySQL. TurnKey Vault fills the void that exists with typical online backup solutions, by offering true business continuity disaster recovery (BCDR) through next-generation Virtual Disaster Recovery combined with live cloud replication to provide instant recovery to businesses by restoring any server, PC, or laptop into a cloud-based virtual private server that is accessible via the Internet. TurnKey Vault’s live cloud replication allows instant restoration of your operating system, files, configuration, registry files, software programs, licenses, and everything to bring your laptop, PC, or server back into full production without any additional hardware or IT staff. Your fully restored cloud-based server, PC or laptop is cloud-ready and accessible via the Internet via any mobile phone, tablet, PC using remote desktop protocols or any web browser to access your entire system. TurnKey Vault offers a free for life 10 GB plan with all enterprise features enabled and a reseller system for VAR’s and channel partners to offer private label branded Secure Cloud Backup services to an unlimited number of clients or devices. For more information visit https://TurnKeyVault.com. Founded in 1999, TurnKey Internet, Inc. is a full-service green data center and leading provider of sustainable web hosting and IT solutions. From its SSAE 16 Type 2 and ENERGY STAR® certified facility in Latham, NY—New York’s Tech Valley Region—TurnKey offers cloud-based hosted services, web hosting, communication services, web-based IT systems, software as a service (SaaS), enterprise colocation services, and computing as a service to clients in more than 150 countries. For more information, please call (518) 618-0999 or visit www.turnkeyinternet.net/media. 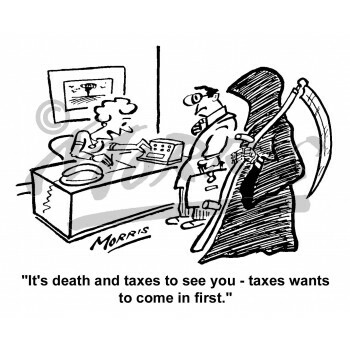 As Tax day hits here in the United States, the dreaded April 15th, there is the old saying from Benjamin Franklin that there were only two things certain in life, Death and Taxes. While that remains true, the reality is in this digital age there is one item just as likely as paying taxes this year, you are going to run into some form of data loss this year. Tax documents are supposed to be saved for 7 years, the reality is you are far more likely to loose that data in the next 7 years than get audited, and you probably want to avoid both like death. Data loss is a reality, just like taxes – Kroll’s survey about data loss states that 61% lose their data because of an inadequate data protection plan, and less than 33% of companies that had a data loss in the last year were able to recover all of their data! – that can mean no backups, or backups that didn’t do the job to keep your data safe or your business running when you need it most. Computer servers, office pc’s, online web sites and mobile devices – all are at risk every day from outside threats like hackers and inside threats like careless or malicious employees, and the fact that hardware breaks eventually (certainly when is the last time a hard drive, laptop, or mobile device been around for the 7 years you need to store those tax returns in case of an audit?) makes data loss as inevitable as death and taxes. Having a backup plan is a good start, there are many pieces of do-it-yourself software out there, tape backups, and even external USB drives you can copy data. There are even many traditional online cloud backup service providers out there – but these methods just copy some of your data, leaving you often with an inadequate true data backup protection plan to get you back up and running after disaster strikes. The reason the traditional method of backing up your data or traditional online cloud backup services are still inadequate, and leave over 2/3rds of companies unable to recover 100% of their data is because when something breaks or is lost – you still can be offline for days or weeks while you re-install operating systems, your specific software, or try to find the same old operating system files to install on a new server only to find it is not compatible with the new server like you thought. Then you waste more time trying to restore files that wont work on the newer version of software you had manually re-installed- and you now have spent days and $1000’s on expensive IT consultants to try to pick up the pieces and put it back together from all those well intentioned backup plans. The next generationg of secure online cloud backup service like TurnKey Vault offer new technology to solve this – with cloud-based replication and complete business continuity in mind. You remotely backup your data securely over the Internet like traditional cloud based services to a secure remote data vault that encrypts and stores your backups. Unlike traditional backup services, TurnKey Vault gives you the option at the push of a button to restore your data like traditional services, or replicate your entire office as cloud-based servers, pc’s and laptops. TurnKey Vault lets you convert your backups to live fully identical to the original pc’s, laptops, and servers right into the cloud to be securely accessed remotely over the Internet. So no more re-installing applications, operating systems or replacing broken hardware in the event disaster – the cloud is easy and fast to access with completely secure copies of your office servers, pc’s and laptops. So if you want complete peace of mind – make April 15th not only your tax filing date each year but a chance to double check your backup plans are adequate, and if not consider moving to the latest generation of cloud based backup technology to get peace of mind. While Death and Taxes can’t be avoided, data loss can at least be survivable if you put the right plans in place before its too late. You know, one thing that has become apparent about March is that a lot of people celebrate birthdays. It seems everyday that I login to Facebook there is another 8 people born on the same day. I don’t think I can recall any other month has as many celebrations as this past March, however, for this post, we will be talking about one day in particular, March 31st. Besides being the last day of the month, this day has a particular meaning to it. Quick, what is the most important commodity of your business? Anybody? No? Your data. This data could be anything from accounting records to credit card numbers, tax records, phone numbers or even a Facebook calendar with everyones’ birthday. 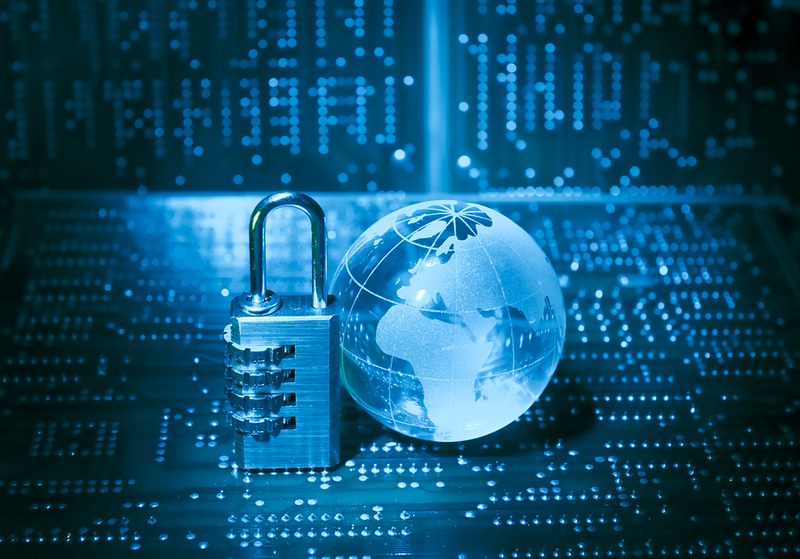 Your data is among the most important commodities to your company. We all know this, but yet, why do so many of us fail to protect our data? You may be saying, ‘I protect my data. I have a firewall!! !’ That’s not the type of protection that I’m referring to and as any reader of this blog knows, I best illustrate by providing examples. So, lets say you had been working on a project for months. You had spent hours in development. Tinkering until the site was the exact setup you want and then, BAM, diaster strikes. Your hard drive dies and you lose all of your work. How could this of been prevented? Backups, which brings us to the importance of March 31st. You see, March 31st is the World Backup Day. No, it’s not an offically holiday, but that doesn’t diminish the importance on the day. We all have data that is very important to us. This data takes many forms and if we lost it, could greatly affect our businesses. 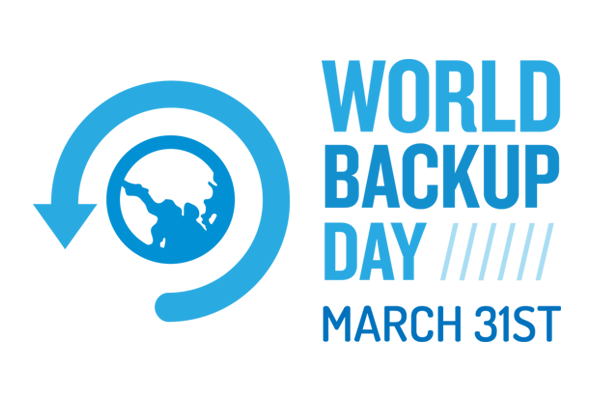 World Backup Day, March 31st, is a day set to remind us to backup our data. If you haven’t already, why not? Have you seen the backup options over at turnkeyvault.com? Something to fit everyones situation. So April 1st comes around, with March now in the rear view mirror – and people shout April Fools – but if you don’t want to be the subject of a tragic April Fools day gone bad we hope you took a moment to make sure you business has a backup plan, and that its working. Every year we replace computers, servers, laptops and more – so its easy to forget to make sure each new device is being backed up – but March 31st is a great day to remind yourself each year to double check them all in your office. You can read about these technologies on our blog here For this article, I will be talking about a new type of backup software. A brand new product that I’m very excited to announce that combines many of the different backup technologies and creates a new, hybrid backup system. A system that allows you to ensure business continuity for your customers. For those of you who do not know what business continuity is, I shall explain. Business continuity means that your business goes on even if your systems fail. Restores are therefore fast and even if the system is down, continuity means you still have access to key piece of business data. Maintaining business continuity should be one of your main focuses as a business owner. In order to show you the greatness of the new software, I will go through each ability listed above and show how these 3 key areas combine to provide you with unparalleled continuity for you business. Shall we begin? 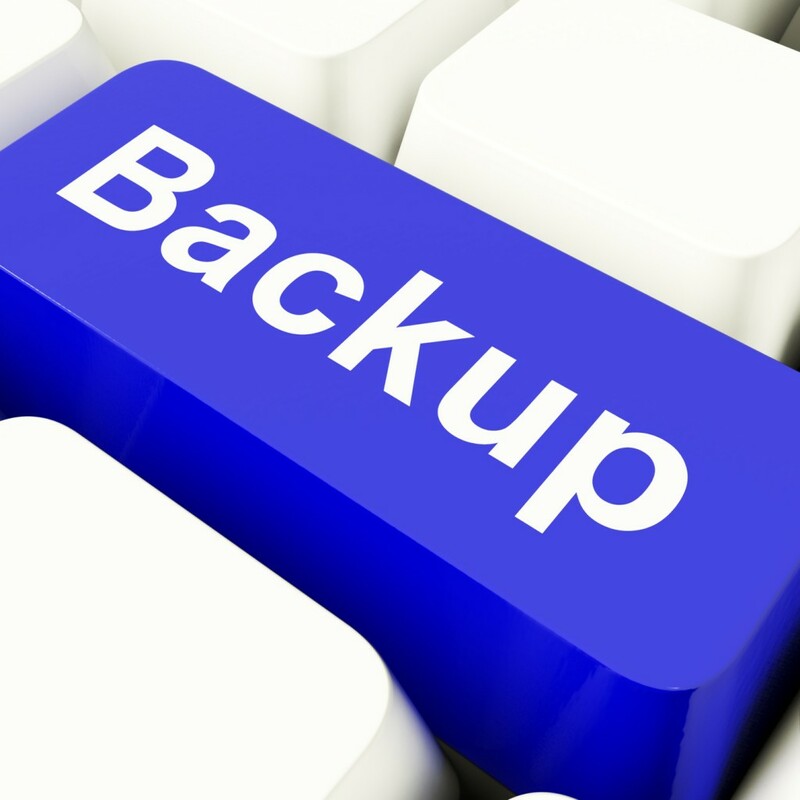 Server backups are the main component of any data protection installation. Servers are where all of the data resides. This includes current, recent and in many cases, older data. The server also is where operating systems, applications, configurations and system states reside. Ensuring these assets is the main job for any business owner or solution provider. Now while most business owners ensure that server backups exist, many over look their individual workstations. This includes the workstations in the field, home offices and satellite facilities. The data on theses PCS and workstations may contain important projects, critical documents, and irreplaceable creative works. Sometimes, even workstations in the home office or headerquarters may be overlooked, despite being tied directly into the corporate network. Ensuring that you have backups for both the server and the workstations is one step to ensuring business continuity. Our new backup product allows for backups of the servers and the workstations. The backups can be stored locally on an in house backup server or backed up directly to the cloud, otherwise known as a disk-to-disk-to-cloud backup solution. This ensures that even if your local backup system fails, you will have another set of copies of backups stored in the cloud that you can easily deploy. This leads us directly into the next feature that is required for business continuity. Until rather recently, in the last few years, the main option for backups were to do it all locally or on-premises. The backups were usually stored on a disk or even an additional tape drive. Larger businesses may have had another tier that sent backups off site for achriving. Research conducted by technology research firm of Gartner Inc, shows that backups in an average data center only worked about 85% of the time. Remote offices were even worse at 75% of the time. Making matters worse, is that you do not know if you have a bad backup until you attempt to restore it. With the introduction of the cloud, the game has changed. You can now backup fast and secure to a hybrid cloud backup. What do I mean by hybrid cloud backup? The hybrid cloud backup or disk-to-disk-to-cloud, allows you to maintain an initial disk backup, which is still down in house, but has an additional tier that stores the backup in the cloud. This tends to be the best of both worlds as the cloud tier is scalable, easy to manager and guarantees data restores properly. Restoring from the cloud is perfect for remote offices that aren’t near the local disk backup. The main benefit of being able to restore a backup from disk or tape, is the speed of the restore. Our new backup software addresses the speed issue by only restoring the changed blocks on a system, which increases the speed of the restoration dramatically. How does only backing up the files that have changed on a system speed up the restore process? What determines the speed of a backup? One factor would be the speed of the connection between the device or devices being backed up and the backup device itself. Another factor would also be the speed of the I/O(Input/Output) determined by the quickness of the disk. However, the biggest factor of them all when addressing the speed of a backup is the amount of data being backed up. Now, when you first create a backup, there is little that you can do to change the size of the data volume except for compression. The intitial backup copies the entire data set. There isn’t any way around this. Once the full backup is in place, maintaining the backup up is done by sending over only the changes of files. Our new software does things a bit differently. Instead of backing up the changes to the file, the software instead only sends over changes to the blocks. Blocks are much smaller than a typical file. To put this in perspective, say you have a word document that is 300 KB in size. You edit the file and change one word in the file. A typical backup system will see the file has been changed and resend that entire file over to the backup software. That essentially won’t change the size of the file. What our new software does is looks at the changed block, representing the one word and send that over to the backup. This may not sound like a lot, but say you have thousands of files and have to resend every file, every time it has been changed. The size of the data will add up very quickly. The sending over of updates to only blocks of data is called Deep deduplication. Deep deduplication allows for a great savings in disk, or if you’re backing up in the cloud, service costs. It also means your network isn’t bogged down by having to transport massive data sets. Also, these smaller data volumes allow for increase longevity to your local backup system as you’re taking maximum advantage of your space.